There's some things in this world that just scream "summer" and I'm pretty sure we can all agree that watermelon is one of those things! 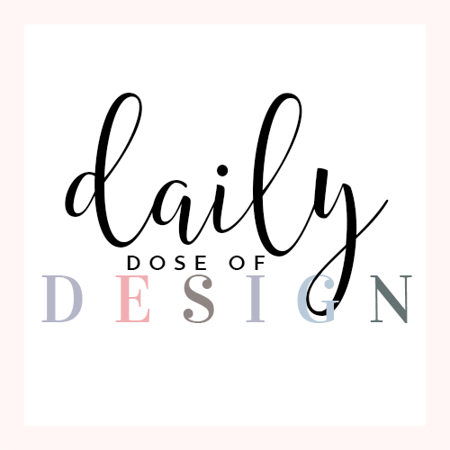 The colors are so pretty, the fruit is so yummy and the emoji is constantly in my frequently used section ; ) I'm one of those people who loves to snack all day and every day and as bad as it sounds, I try and be super healthy about it! 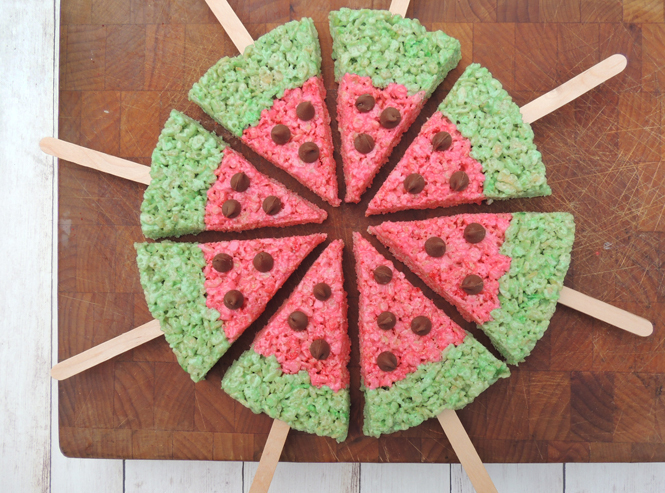 But sometimes you just need a fun snack and that's exactly where these fun (and super yummy) watermelon rice krispie bars come in to play. We're in the middle of an almost two week long heat wave now in New York and that means if a recipe says "no bake", I'm a happy camper. I can't even imagine turning the oven on when it's this hot - thank god for central AC because as much as I love summer time and fun, outdoor, summery things, I do not handle heat well! Back to this fun summer snack; they're almost too cute to eat! 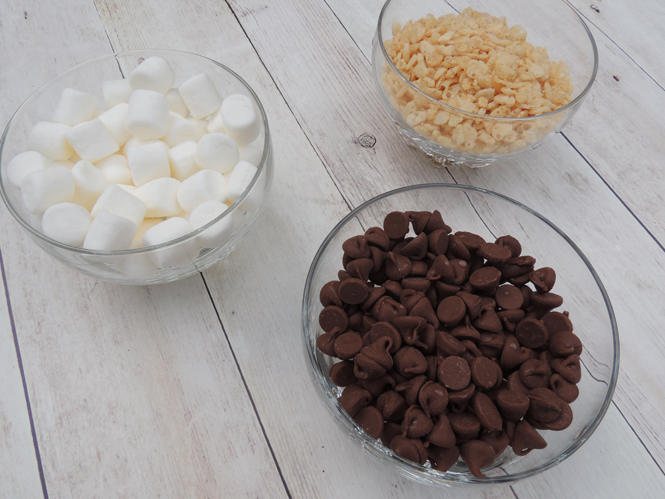 I found it extremely helpful to get everything ready before I started; once you melt the marshmallows, the mixture gets sticky and hard to maneuver pretty quickly! 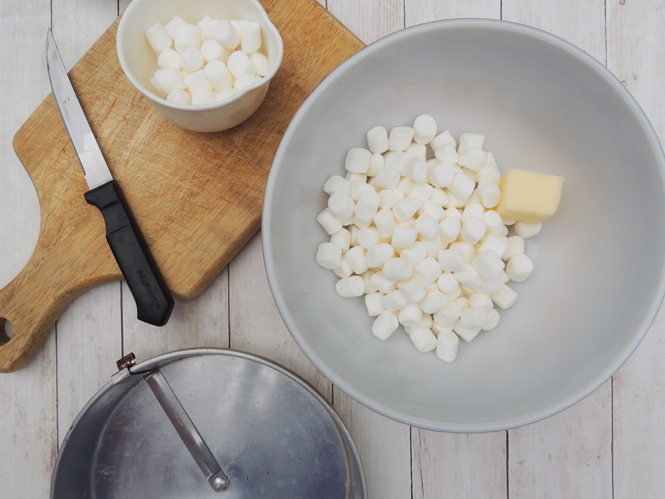 Mix the marshmallows and butter in a bowl and microwave for 15 seconds; if it needs more time, try another 15 seconds. Once the marshmallows begin to bubble up, mix it together (sort of whipping it together) until the butter is completely melted in. Add in the green food dye a few drops at a time. Keep adding and mixing until you achieve the shade of green you like best; I liked the way a lighter green looked and I added 4 drops at first, mixed and then added 3 more. 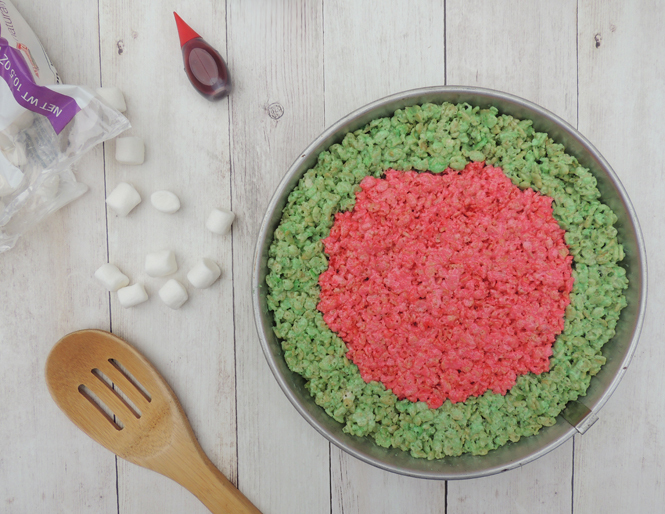 Add in the rice krispies and stir until they're all completely green. This takes a while (and definitely tests your arm muscles ;) and I found it to be much easier to add a cup at a time between stirs. 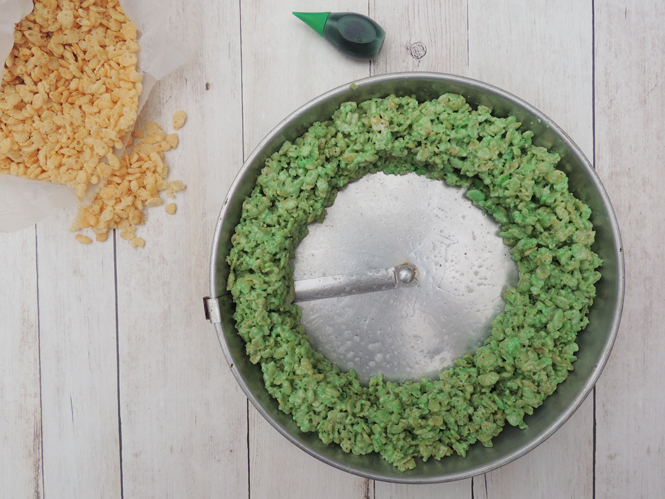 Once everything is mixed, spray the cake pan and pour the green rice krispies into the pan. Tip thanks to my momma: put a little of the cooking spray on your fingers to mold the rice krispies into shape to avoid them sticking to your fingers. This was a HUGE help, I would have been there for hours otherwise! 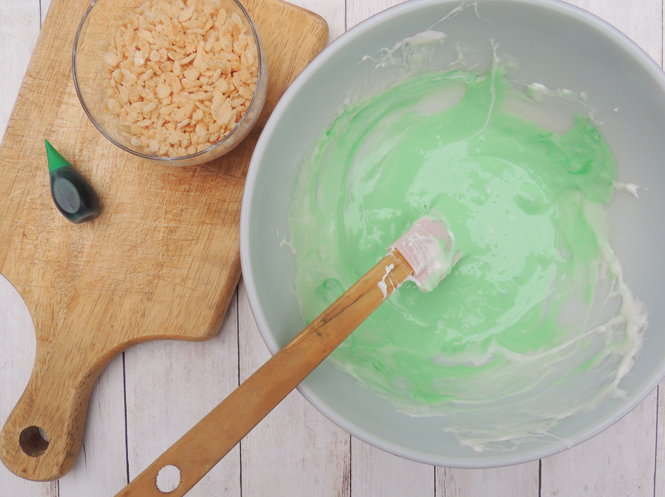 It's hard to get the green part into shape at first; try using your thumbs to press it down flat and use the back side of a spoon to push it all into place. Once your green watermelon rind is set in the pan, you start the process over for the pink watermelon flesh. 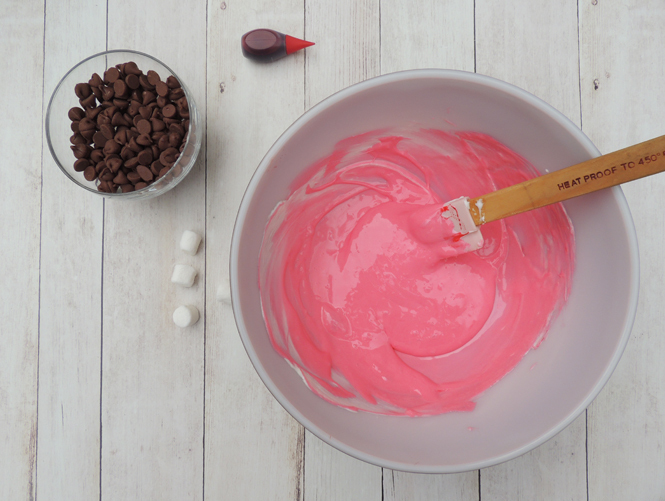 Melt the marshmallows and butter, mix and then add in the red food coloring. This is where you want to be super careful; if you add too many drops (especially at once) you'll end up with Christmas trees instead of watermelon! ; ) I added 4 drops to begin with, stirred and then added 3 more drops. I mixed and mixed and it was still a little too much of a bubble gum shade for my liking, so I added 3 more drops - slowly - until I got a pretty, darker pink. Add in the rice krispies and stir; since more of the cereal is involved this time, it's definitely beneficial to add little bits at a time. I insisted that there wasn't enough marshmallow to mix into the amount of rice krispies I had, but after a LOT of mixing it finally all mixed. Again, spray your fingers to prevent the rice krispies from sticking to you and pour the pink rice krispies into the middle of the pan. I poured about half the mixture in and molded it, then added a bit more and molded that. I used the last bit to fill in any spots that weren't even and to make the pink circle as even as possible. If any spots need to be pressed down, use your thumbs and even it all out. Place a sheet of parchment paper (not totally necessary, so it's okay if you don't have any!) on top and put the pan in the fridge. Let it sit for about 20-30 minutes to completely cool/form together. Cut around the sides of the pan to loosen the rice krispies and flip it over to remove it. It should come out pretty easily, if not, try and get a fork into the side to loosen it from the bottom of the pan. Then, cut them evenly into as many slices as you'd like. 8 seems to work best - half, quarters and then eighths. If you'd like, stick popsicle sticks into the bottoms so that it's easier to hold and eat. It's sort of a process because you have to be careful not to break the slice or go through the bottom (learned that one the hard way!). 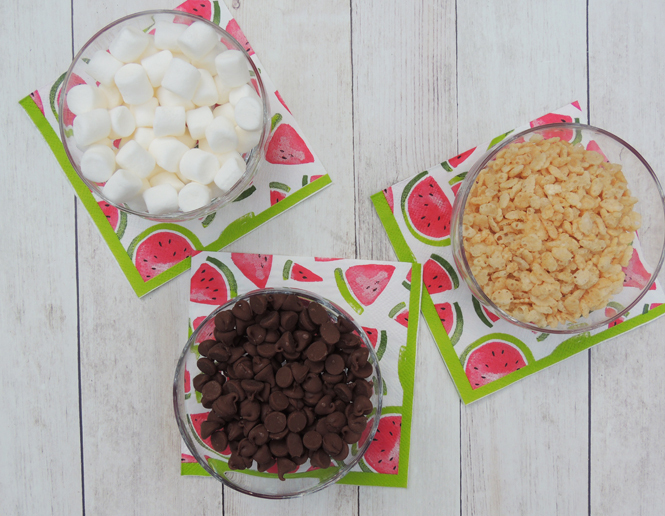 My favorite part is adding chocolate chips for the watermelon "seeds", they look SO cute! They're easy to serve and they're great for all ages. 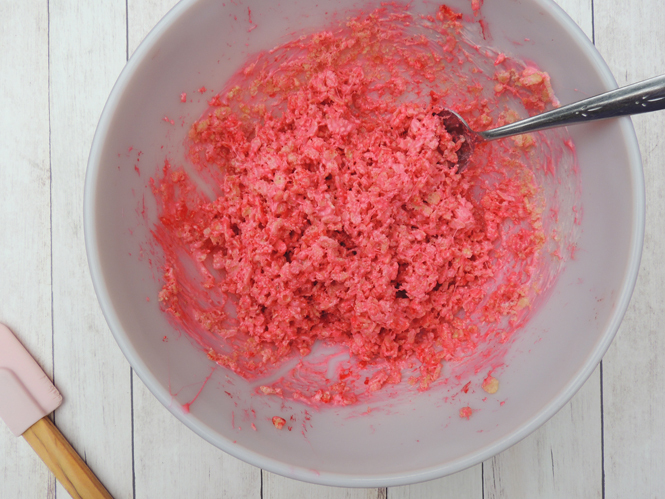 I love a fun summer dessert/snack that requires no baking and no more than 20 minutes of prep time! I don't think I have seen anything cuter then this! 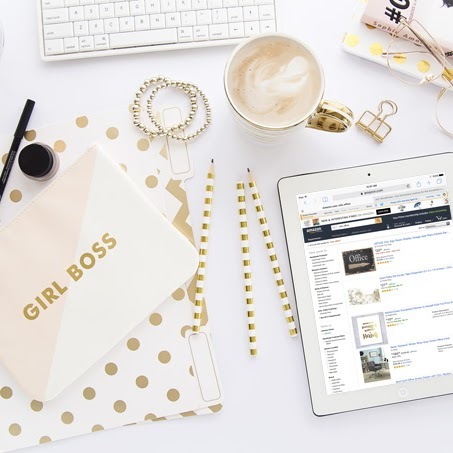 Okay, I love everything about this! Super creative and yummy! This is such a cute idea for summer snacks. 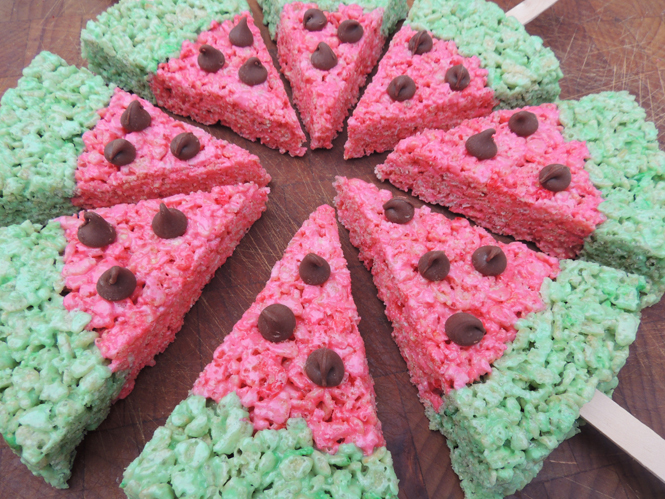 My kids always loved Rice Krispie treats but I never got this creative when making them. These look AH-MAY-ZING! The cutest little treat! I love these! 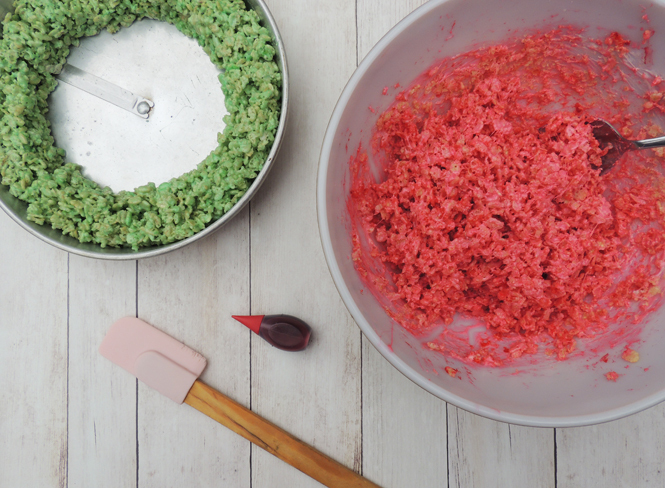 Confession, I have never made rice krispie treats, but I really want to make these! So fun! You made that looks so easy. 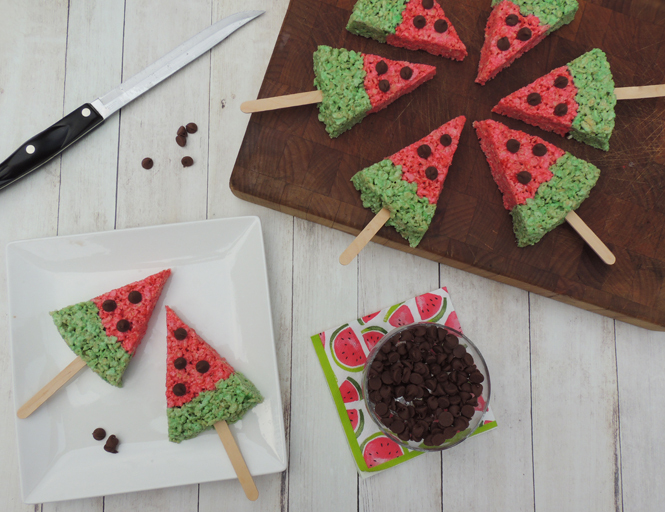 Watermelon does capture the essence of summer and these treats are perfect! oh these are adorable!! I never would have though to use a round pan like that!! My kids would go crazy for these, I'm sure. 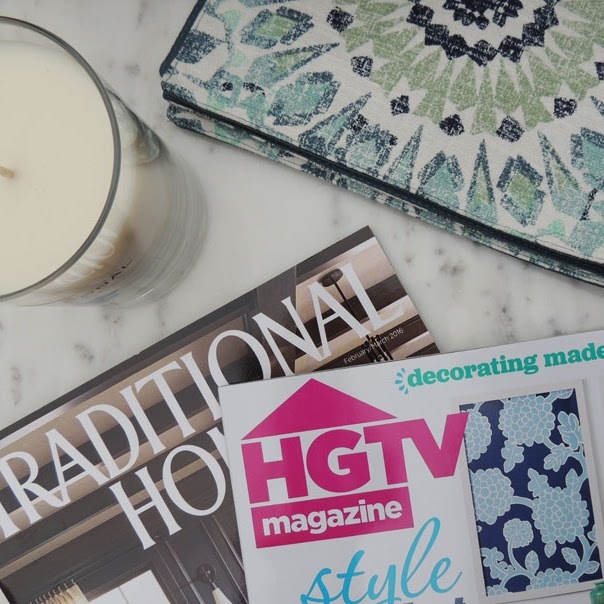 Such a cute summer project to do! These look so yummy and cute! I totally want to make these this summer. Oh my gosh this is so cute! I would prob eat the whole pan, I am a huge fan of marshmallow bars! I need to make these asap! Ooh, how cute!! I usually cringe at using food coloring, but I my have to make an exception. These are too sweet to pass up! Saving it! These are adorable! I have a weakness for rice crispy treats lol. These look so good!!! And perfect for summer. I will definitely have to try them! These are adorable! 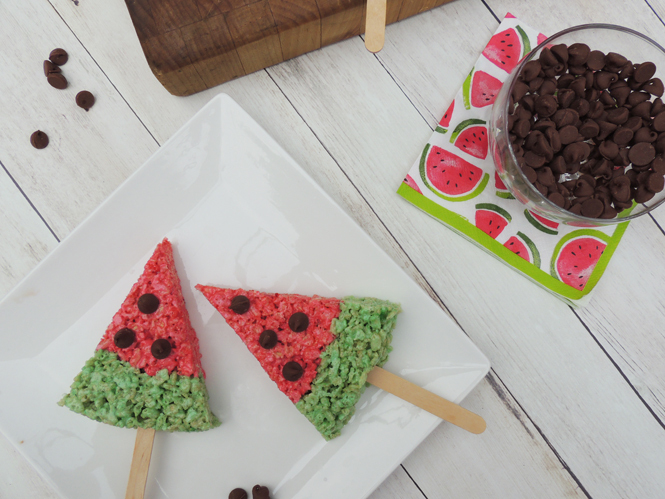 I love how you used chocolate chips as the watermelon seeds. I'm going to make these for my grandkids and I'll let you know how they turn out. I hope they are as cute as the ones you made. These look delicious! I'm going to have to try them! These are WAY TOO FUN!!!! I definitely need to get on making these! Cutest rice krispy treats EVER!! I don't even really like rice krispy treats, but these are a different story .. yum! So cute! I just bought a box of rice crispies. I can't wait to do this with the kids. These are so cute, how fun for summer! 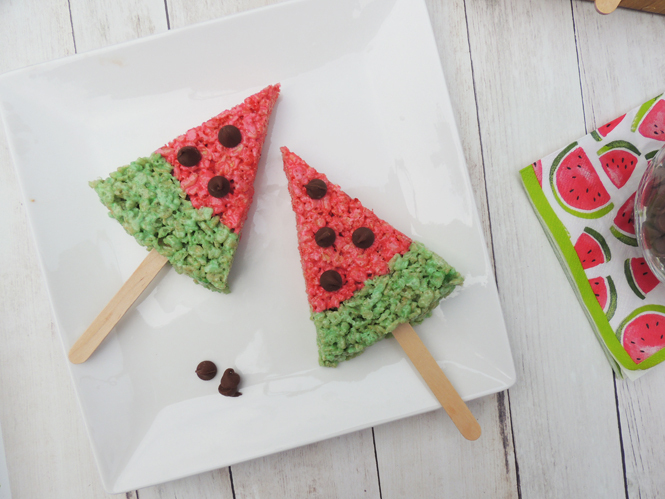 These are super cute ideas to make up as rice krispie treats! I will have to try to make them for sure! This is the cutest! Definitely pinning it for later. There's nothing better than watermelon during the summer. These treats sound so delicious and festive.I know my kids would love this! 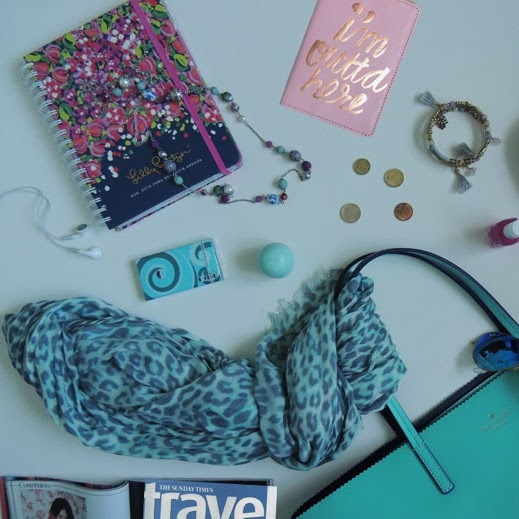 Love love love this so much I just pinned it to my fodie board-because I am going to be making this very soon! Gimme, gimme! This looks so good. Definitely a perfect summer treat! Because cute, watermelon is one of those things that reminds me that summer has arrived. These are too cute! I love the idea to of using a popsicle stick! I'm going to have to try this! What a neat idea, the are so cute. My kids like rice krispies so I will have to whip these up. These are adorable and so creative! Perfect treat for summer! Mmm...rice krispie treats are one of my year-round go-to at-home desserts! Love this unique take on them! These look so yummy and cute and perfect for summer! These are so stinkin' cute!! Need to make these for my friends this summer!! Omg! Cutest rice krispy treats ever!!! perfect for a summer bbq! I am so sharing this with a friend who has 10 year old triplet nephews. 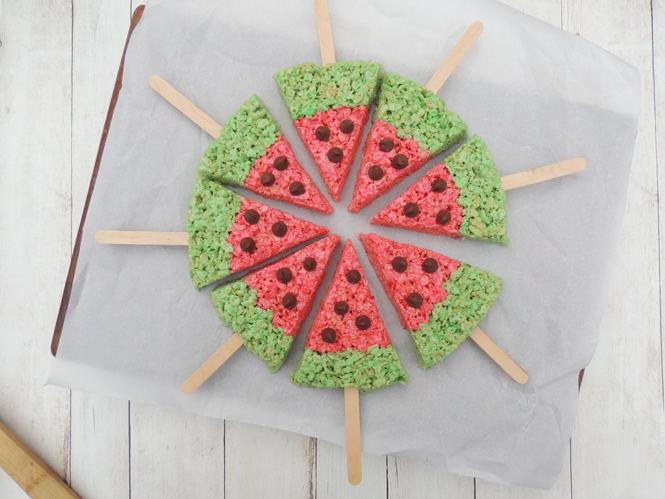 What a cute summer treat idea. I've been seeing this around for some time now and I haven't gotten the chance to make it yet although I would love to because I know the kids will love it! It's really nice to look at and it's perfect for the summer! This is so creative! Definitely too yummy to pass up! Well aren't these just the cutest little things!! Girlfriend, these are OBNOXIOUSLY cute. 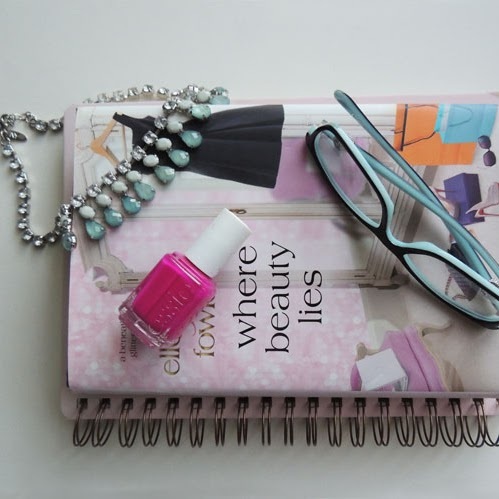 They look like a total must-bring to any summer affair! These are adorable! What a perfect summer treat! I am such a huge fan of rice krispie treats! These are adorable! I love homemade rice krispie treats. I think the little watermelon slices are so adorable and I need to try to make them too. This is so cute and sounds delicious! 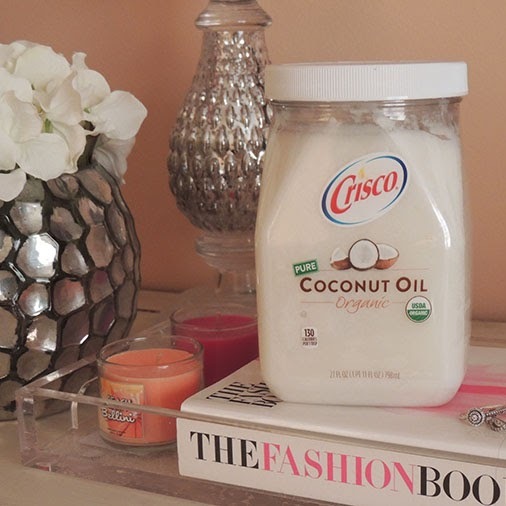 Perfect for Summer and I'm going to have to try this! So cute and yummy! 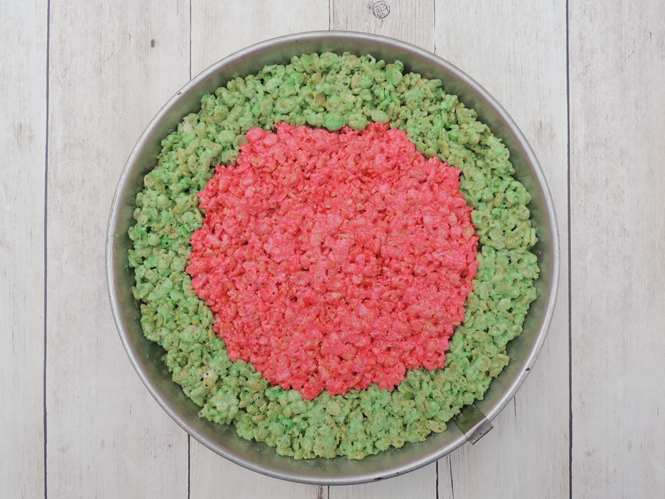 What a great idea for rice krispie treats! Never thought about using a cake pan for RC treats - great idea. For workout lovers, it is important to eat there meals in a break and eat healthy food. It is because healthy food will help them to boost their energy. A part from good food starting taking best hgh supplement. It really works for your muscles. It's so colourful and seems so delicious that I just can't wait to try it. For a food lover like me, whose main focus is on nutrion , stable health and supplements like Xtreme no bodybuilding supplement,I feel that my next taste will be this crispy watermelon treat. A diet low in fats, cholesterol and sodium can lower your risk of heart disease. The types of fat in your diet play a major role in your level of risk. Seems to be a healthy recipe. surely gonna try this.